UQ struck late, Wests ran wild, Souths scored possibly the try of the season (already) and Brothers proved that they’ll be a different proposition in 2019. 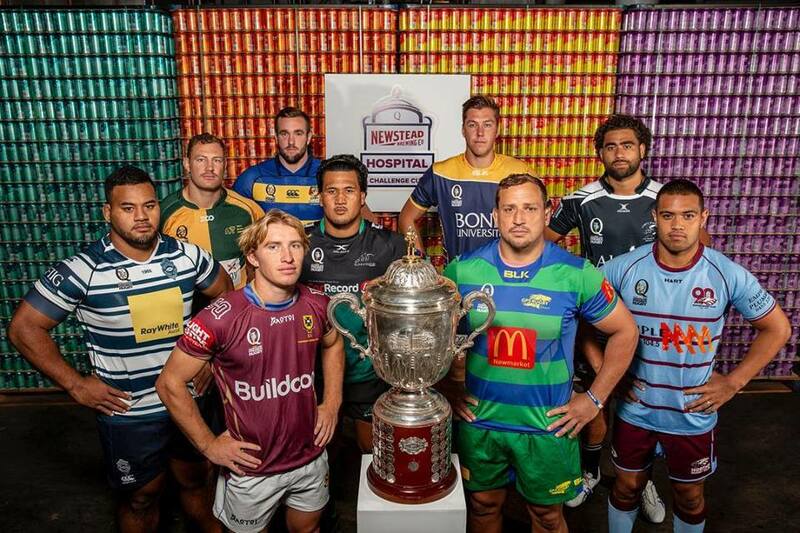 Catch up on all the action from the opening weekend of the QLD Premier Rugby season. A four try onslaught in the final 20 minutes saw UQ open their season with a 38-12 win over Easts at St Lucia. With the scores locked at 12-12 midway through the second half, the Students were too good for the Tigers late in the match. Tries to Kye Oates and James Conville saw UQ lead 12-7 at the break before Matt Gordon barged over for Easts off the back of an attacking line out to level the scores early in the second half. But from that point on it was all UQ. The Red Heavies scrum began to dominate around the hour mark and UQ moved deep into Tigers territory. Jock Campbell showed good footwork to split the defence and score soon after, then Adam Korczyk pounced on a loose ball a minute later and ran 60 metres untouched to give his side a somewhat unexpected 26-12 lead. A penalty try from a five metre scrum and a five pointer to flanker Pat Morrey capped a brilliant final quarter from the Students, who opened their campaign with an impressive 38-12 win. Wests started 2019 with an impressive bonus point win over Norths at Shaw Rd. The Bulldogs were brilliant early and scored five unanswered tries to put the result almost beyond doubt before the half time break. Liam Dillon crossed next after he put winger Ben Navosailagi away down the sideline and backed up nicely on the inside, before the Doggies big men took control and scored three tries from close range to take a commanding lead to the break. After the worst possible start to their season, Norths’ defence improved in the second half and the home side kept Wests scoreless for the next half hour. But it was well and truly Wests day at Shaw Rd, as the Doggies crossed twice more in the final 10 minutes to claim a comprehensive round one win. Souths lived up to their preseason hype with an impressive 46-14 away win over Sunnybank. The Magpies started brilliantly and led 12-0 inside the opening 12 minutes after Teti Tela set up two tries for Jayden Ngamanu. Ngamanu left the match with a hamstring injury after that, but Souths attack continued as Caleb Timu charged through a gaping hole midfield and scored under the posts. After finally winning some ball at the right end of the field, Sunnybank hit back through David Feliuai, then scored again on the strong of half time to reduce the deficit to just five points while Souths had a player in the bin. After a tight start to the second half, the Souths’ forwards extended their lead with a pushover try before the backs scored an early contender for try of the year from deep within their own half. Winger Emori Waqavulagi retrieved the ball on his own five metre line and made light work of several defenders. He turned and offloaded before the ball was spread to the other sideline, then turned on the inside to a replacement back, who raced 50 metres untouched to score one of the best counter attack tries you’ll see. Waqavulagi then crossed on the stroke of full time to cap an afternoon for the Magpies. After a disappointing 2018, Brothers couldn’t have started their season any better, scoring inside the opening minute of their round one clash against Bond. Recruit Aiden Toua found space off a kick return and offloaded to Elih Bailie who scored 36 seconds into the match. Bond responded with a penalty goal then took the lead midway through the first half when winger Jordan Hughes pounced on a dropped ball from Toua and scored under the posts. Lurking out wide, Brothers No.8 Harry Wilson crossed in the 30th minute on the back of some nice ball movement from the home side, before Bailie backed up scrum half Reuban Wall to score his second try of the afternoon and give Brothers a 21-10 lead at the break. Bond opted to take the points early in the second half and reduced the deficit by three but in doing so handed territory and possession back to Brothers, who seemed eager to park themselves down the other end of the field. The home side then scored from a driving maul to take a 26-13 lead with 15 minutes remaining. Bond gave their fans hope of a comeback when Connor Pritchard regathered a Dion Taumata grubber to score in the corner minutes later, but Brothers controlled territory and possession in the final stages and held on for an impressive six point victory.